Jigsaw Trust is committed to raising awareness of autism and to providing facilities, services and resources for the education, integration, guidance, assessment, outreach and support of people affected by autism. Jigsaw supports World Autism Awareness each year…for more on this year’s activities and events and general information, please visit our World Autism Awareness page on this website. We also have a short animated video ‘What is Autism?’ you can view on our Autism page. Jigsaw was founded on the principle of excellence through continual learning and aspires to provide the highest quality of education and lifelong learning possible; to accelerate learning and the ability to learn in new ways as well as acquiring the skills to learn independently through behavioural methods. A registered charity, the Jigsaw Trust was established in 1999 by a group of parents of children diagnosed with autism. In the same year it raised enough funds to set up the Jigsaw CABAS School, opening its doors to six children. Today the school has provision for up to 68 pupils, aged 4 to 19 years. In 2012, the Trust opened JigsawPlus offering specialist day services and social enterprise provision supporting individuals over the age of 18 years with autism, continuing the same highly successful behavioural approach to enable learners to function more independently and create opportunities for them to take part in all aspects of community life and employment opportunities. Learners are supported to help manage anxiety, anger and other behavioural issues and to access a broad range of lifelong learning, social and leisure activities. Following a successful fundraising campaign, in early 2018, JigsawPlus moved into a new, larger Centre for Lifelong Learning on Dunsfold Park. Additionally, the Trust has been operating a Social Enterprise; “Café on the Park”, offering a café and catering service to tenants on Dunsfold Park as well as providing a unique environment in which JigsawPlus learners can undertake a wide variety of work experience tasks within a safe and supportive environment. We are incredibly fortunate to have the support of our long-standing Patron, Kim Robson (Presenter and Programme Manager at Eagle Radio). Kim has been a part of the Jigsaw journey for a number of years and has not only co-ordinated many, many fundraising and volunteer activities on our behalf but has also taken part in some extreme fundraising events too. 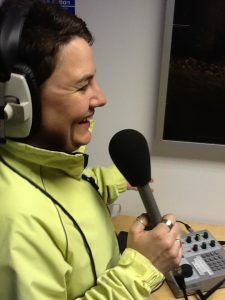 Her last madcap challenge for Jigsaw was an arduous 100 miles bike ride around Dunsfold Park…whilst broadcasting her show across the Eagle airwaves!! We regularly see Kim when she pops into the School for a quick catch up and we are very grateful for her support.